That’s how you know you’re in for an accident or two today. If you have a dog that just will not go to the bathroom during bad weather, you are not alone. A lot of well-trained, perfectly housebroken, dogs refuse to go outside when it’s raining, snowing, thundering, or anything like that. If you don’t want to spend your day cleaning up messes, what can you do? Here are some tips to help. Do this when there is good weather, and be consistent about it. Eventually, when you take your dog for a walk, start using the command when they stop but haven’t yet started to pee. Every time they respond to the command by immediately using the bathroom, give them a treat. Once they have this command down, you can use it in times of bad weather. The promise of a treat, and the conditioning of the training, should help your dog overcome their instinct to avoid the weather. Some dogs are just really sensitive to cold or wet, and have a hard time getting over this fact. For example, small dogs with short coats, or hairless dogs, may not want to go outside in the snow because it’s just too cold for them. In this case, you may find it easiest to get your dog to go outside if you give them some protection. Dog booties for snow or wet grass can help a dog feel more comfortable about stepping outside. A dog jacket or vest may make it easier for them to handle the cold. 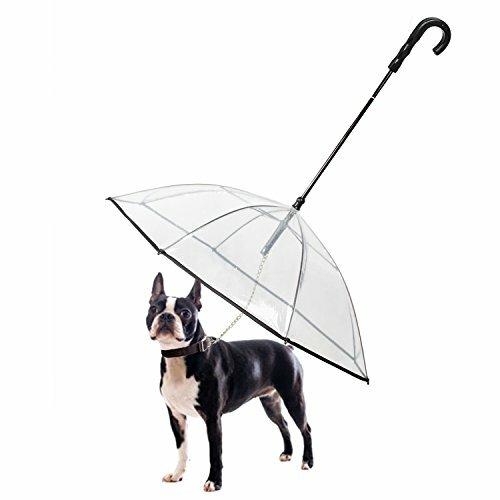 You can even find dog rain jackets, and leashes with umbrellas, to help keep the rain off your dog. I know this may look a little silly, but if it means that your dog is more comfortable, and that you can avoid having messes in your home, it’s probably worth it. And yes, this probably means that you’ll have to go outside with your dog. This is actually not a bad thing. Showing your dog that the weather is nothing to fear can help them become more confident in the future. Another thing you can do to help a skittish dog go outside in bad weather, is to create a spot outside that is covered, or somehow sheltered, where they can go. For example, if you have a covered balcony or back patio, consider putting down a little patch of fake grass where your dog can relieve themselves on days with poor weather. You’ll have to clean it up, but it’s a good back-up option so you don’t have a mess in your house. Another option is to put a puppy pad in the garage, and only use that as a back up on days when your dog doesn’t want to go outside. You don’t want your dog to learn to use the bathroom inside, but teaching them a back up plan is not a bad thing. You may even find when they get older, and have trouble with incontinence, that this training can come in very handy. If you can get your dog used to the feeling of water falling on them from the sky, you’ll have a much easier time getting them to go outside in bad weather. Try going for a walk when it’s just lightly drizzling outside. Slowly let your dog spend more and more time outside in varying amounts of rain. Yes, you will have to give them a few extra baths while you train them to understand rain. But the pay off is years of avoiding messes in the house, and a dog that isn’t as anxious when it starts to rain. You can also try walking in the rain as a way to stimulate your dog’s need to go. Walking moves the bowels, so your dog will naturally have to go a bit more urgently. If it’s really pouring and you don’t want to walk in it, try walking around the garage or the house on a leash, staying close to a door. Watch your dog carefully for signs that they have to go right away, and step outside when they just can’t resist anymore. Sometimes, dogs aren’t upset about the wet grass or the water falling from the sky – they are actually anxious because of the thunder or the feeling of changing air pressure. In this case, your vet may be able to prescribe you a mild anti-anxiety medication to give your dog to make them relax during storms. 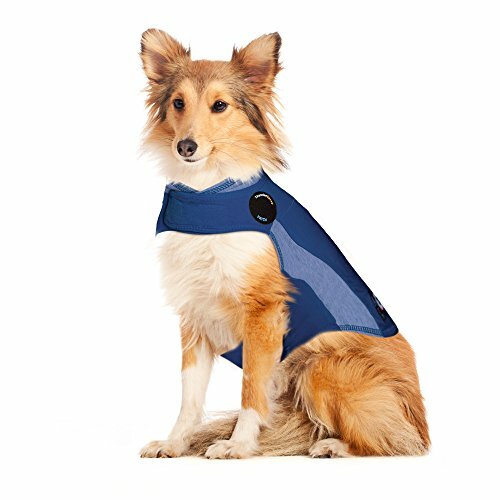 Another thing you can try is a thunder shirt, which is a snug fitting compression vest that helps dogs feel more relaxed. And so on. When it rains or snows, however, the situation changes. Suddenly, the feeling underfoot is wet, everything smells different, and it’s cold. If there is a lot of snow, your dog may not even be able to see any grass at all. Your dog knows that they should go to the bathroom where they’ve learned to do so, in order to please you. So this new situation could be very confusing for them, simply because they want to please you – your dog is not trying to be difficult. This is why it’s a very good idea to teach a puppy to be outside in all types of weather when they are little. But if you’ve rescued a dog as an adult, you can’t go back in time to change their behaviors. All you can do now is to start teaching them that all types of weather is safe. Obviously, you should never require that your dog go to the bathroom in unsafe weather. If they have to go, but you’re under a tornado watch, give them an alternative like a puppy pad, or accept the mess and be ready with a good cleaner. If you are in the middle of a blizzard and it’s going to be several days till your dog is comfortable going outside, you may need to consider some long-term alternatives. 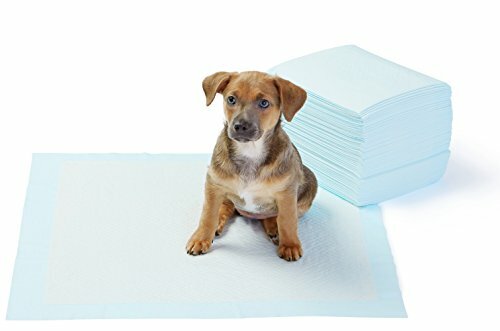 I would highly recommend having newspaper or puppy pads down in an area where the smell won’t bother you, and you can quickly clean it up. The garage or the basement are good options. You can also consider doggie diapers if you don’t have a good place for a puppy pad. Most dogs will hate wearing these, but if you can get your dog to stick it out, it’s not a bad option. I wouldn’t recommend trying to fashion regular baby diapers into a diaper for your dog. They aren’t shaped right to prevent leaks, and they can catch on your dog’s fur in a very uncomfortable way. 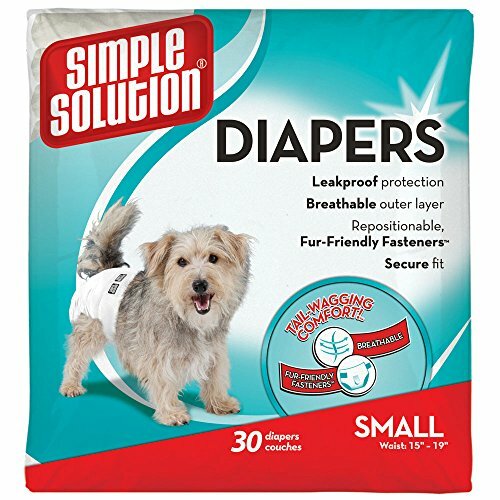 Dog diapers are designed to catch the leak in the way the dog uses the bathroom, and also won’t pull on fur. If the weather snuck up on you and you don’t have any of these supplies on hand, consider allowing your dog to relieve themselves only on a tiled floor, where it won’t stain or leave a bad smell. The bathroom or laundry room are good options in this case. Another thing to consider is to clean off an area just outside the door where your dog can literally step outside, do their business, and step right back inside. You’ll have to clean it up later to avoid tracking the mess inside, but at least it keeps it out of your house for now. Overall, be sure to make potty breaks positive. 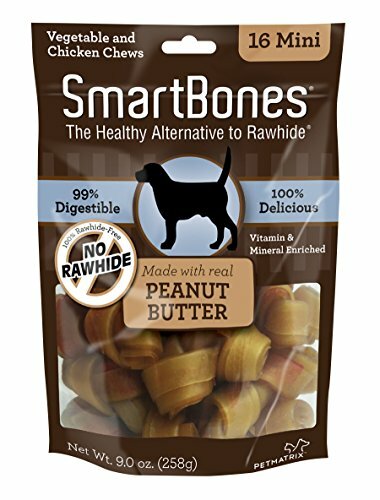 Praise your dog when they go where you want them to, give them the good treats that they don’t get very often, and don’t get frustrated if it takes your dog a while to go. The more impatient you get, the less likely they are to relieve themselves. Once the bad weather has passed, you’ll want to retrain your dog to not use the bathroom inside anymore. If your dog was already housebroken, this should be easy – just stay on top of their bathroom breaks and make sure you get them outside regularly. They’ll eventually remember that outside is the place to go. If you had to allow a puppy to go inside, you just need to be more proactive about keeping them on a schedule of going out. Remember that teaching your dog where to go inside can be a good way to prevent accidents in the future. If they ever have a need to go inside again – such as another storm, illness, old age, or being left alone too long – they’ll know to at least go where it’s easy to clean up. For Janice and Leroy, I’ve created a little spot where they can use the bathroom in shelter if they need to. However, I’ve been lucky in that neither seems to mind the weather when they have to go. I think that creating some sort of sheltered outdoor area with a fake patch of grass is probably the best option, because it doesn’t teach a dog to go inside. But the biggest thing is that you find something that works for you and your dog. These tips can help you stop stressing on those mornings when you wake up to snow or rain, and they can make sure your dog stays healthy as well. Be sure to talk to your vet if your dog seems extremely anxious about poor weather, to get to the bottom of what is going on.